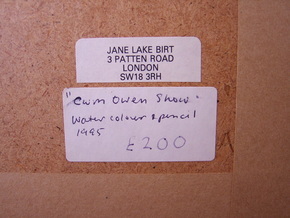 JANE LAKE (BIRT) 20th century. Born and brought up in the United States, Jane Birt studied at the Carnegie Mellon Institute in Pittsburgh and the Ruskin School in Oxford. She has held solo exhibitions at the Portico Gallery, Manchester, Leighton House, London, the Hull Gallery, Washington, the Piers Feetham Gallery and at the Mall Galleries. 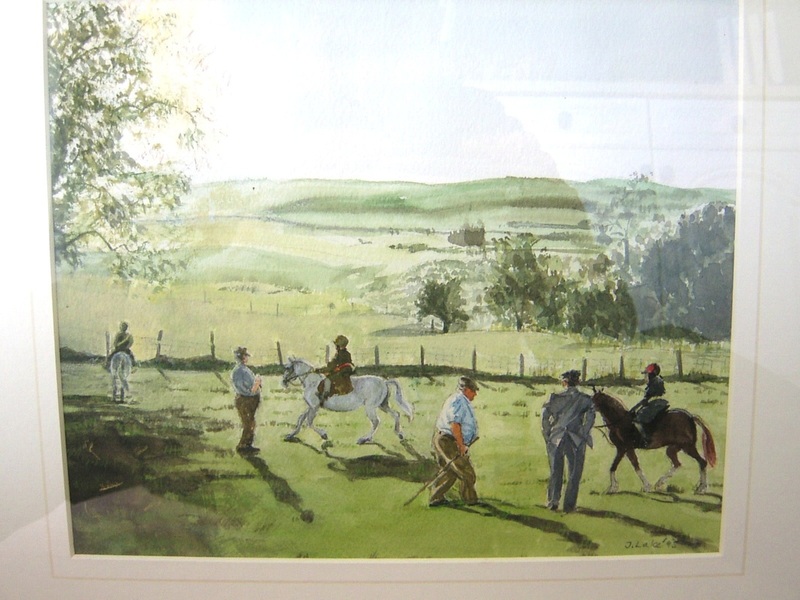 She has also participated in numerous mixed exhibitions and undertaken commissions for paintings and book illustration, most notably the illustrations for 'Mr Harty's Grand Tour' published by Century Hutchison. 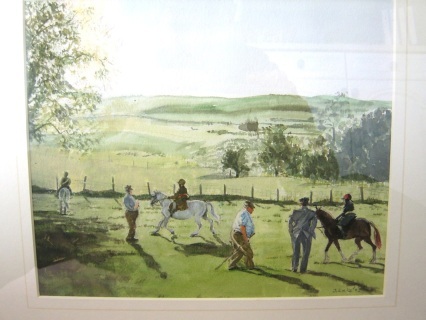 "Cym Owen Show" Watercolour and pencil 1995.